Matt and Kate Jennings have been cooking side by side since 2000, when they met as two employees of a gourmet, specialty foods shop in Cambridge, Massachusetts. At the time, Kate was the Pastry Assistant and Catering Manager, and Matt was the Cheese and ‘Specialty’ Buyer. Both classically trained- she in pastry and he in savory, the couple has spent the 20 years since, crafting incredible careers around food and hospitality. They opened their first joint venture in 2002, with the creation of Farmstead, in Providence, Rhode Island and owned and operated that location for 11 years, with much success and quite a few accolades along the way. An unusual design of side-by-side restaurant and retail shop, Matt’s savory offerings in the small store and adjacent bistro were complemented by Kate’s incredible baked goods and pastries. In 2014, Matt and Kate sold Farmstead and decided to move back to their native home of Boston, Massachusetts, where they opened Townsman restaurant near Downtown Crossing. Townsman was an extension of their ethos surrounding the sourcing of impeccable ingredients, creating relationships with producers, and focusing on food that told a story, had a perspective and that most importantly- was delicious! After some major lifestyle changes for Matt in 2018 (which included a new commitment to nutrition and fitness- particularly cycling! 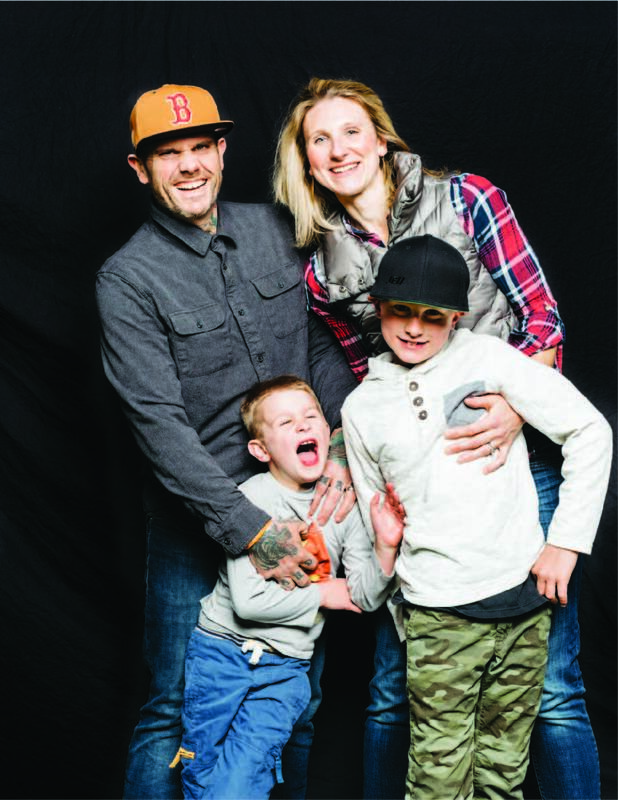 ), the dynamic duo decided to sell Townsman after only four short years, to pursue new interests in hospitality and to get some well-deserved time with their two young boys at home. Matt is a five times James Beard Foundation nominee, the author of his wildly successful cookbook “Homegrown; Cooking From My New England Roots”, has been recognized by the White House, The Mother Nature Netowrk as one of America’s Most Sustainable Chefs, Food & Wine Magazine, The New York Times and many more. Kate has received awards from Women Chefs & Restaurateurs, recognizing her leadership and has also had recipes appear in the Wall St. Journal, Bon Appetit and Saveur. The couple lives in Arlington, Massachusetts with their two boys, Sawyer and Coleman, and their Blue Tick Hound, Hank. Both of them will co-host the Chef Bike Tour of Emilia Romagna (Emilia edition).